This high profile Encino quick service restaurant with beer and wine boasts a highly scalable, feel good food concept that appeals to the masses the young, old, health conscience, etc. 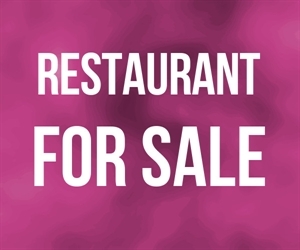 As such, this sale may represent the ideal opportunity for the working owner to walk into an established, and constantly profitable turn-key business, or the savvy entrepreneur to acquire a refreshing concept that may be dramatically expanded and even potentially franchised. Location and Facilities: This ideally located 2,700 square foot facility with a patio leases for $14,800 per month including common area maintenance, on a lease until December 2014 with 2 five year options. All of the business s furniture, fixtures and equipment are paid for and will transfer in the sale, as will the name, concept and seller s expertise in training. The kitchen boasts an office, separate dry storage and dish washing areas, 10 by 10 walk-in cooler, 8 burner stove, 3 deep fryers, a grill and plenty of prep tables. Support/Training: Seller will train for 2 weeks at 20 hours per week or as negitiated. Market Information and Position: The current owners have made great strides in terms of concept development, recipe perfection, and maximizing gross revenues. New owners may seek to capitalize on the beer and wine license and patio by focusing on attracting a younger, hipper and health conscience, creating more of a Cabo Cantina type of ambiance, and implement catering and delivery services, aggressively market via flyers or promotions, as well as ultimately open additional locations or potentially franchise the name and concept. Competition: This quick service restaurant does not face nearby direct competition within the quick service category. As such, and as a function of it's dominate location, the opportunity has limited threat of direct competition. There are plenty of indirect quick service restaurant competitors, however typically formal dining venues offer similar entrees.